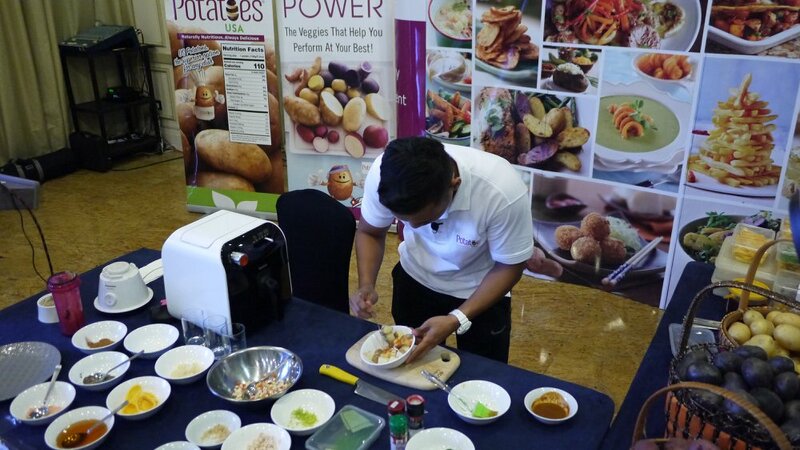 As promised, here's the U.S Potato “Power Up” Recipes for The Fit & Athletic by Chef Naem. We love all the creations, they are nutritious and delicious. You should try them out too. 2. Air-fry the U.S hash brown at 100C for 15 minutes till golden brown. 3. Spread the tom yam paste on the hash brown. 4. Mix in a bowl the chicken, tomatoes, kaffir lime leaves, coriander, lemongrass, salt & pepper. 6. Place the chicken on top hash brown. US Potatoes has always been synonymous with nutritious diets and meals for many Malaysian households. From our beloved curry chicken, baked potatoes, mash potatoes, crispy hash browns to many more favourite dishes, we consume US Potatoes almost every day. 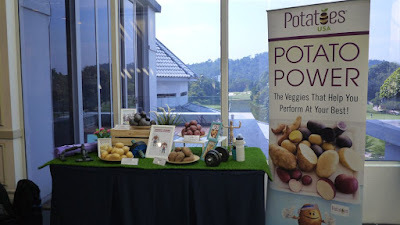 In fact, this is good as potatoes provide the carbohydrate, potassium & energy that you need to perform at your best. 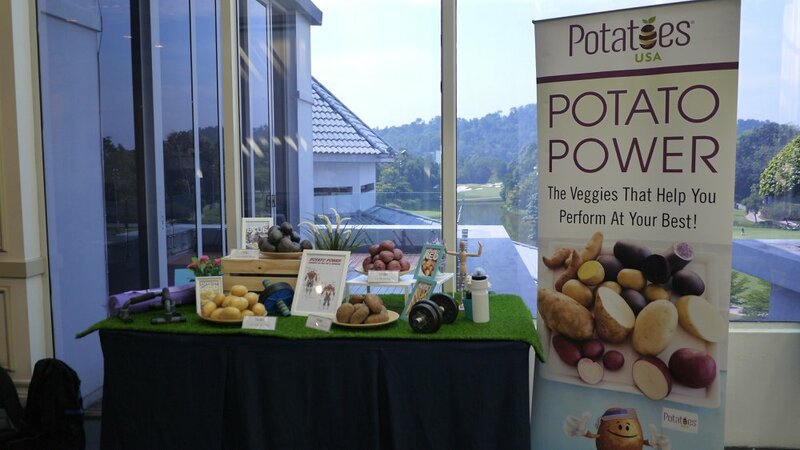 We were honoured to be invited to Potatoes USA’s “POWER UP WITH US POTATOES” event held at Sime Darby Convention Centre recently. 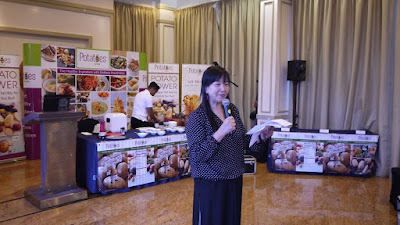 There, we learnt the goodness of U.S. potatoes and the importance of potatoes in the diet of athletes from the expert. In Nutrition Today, a reputable US journal, it is suggested that a balanced diet high in natural, quality carbohydrate rich foods like nutrient-densed potatoes may be optimal to improving physical performance among elite endurance athletes. Numerous studies conducted over the past 40-50 years also suggested that carbohydrates are a primary macronutrient for sustaining and improving athletic performance. In fact, Potatoes contain 620 milligrams of potassium. 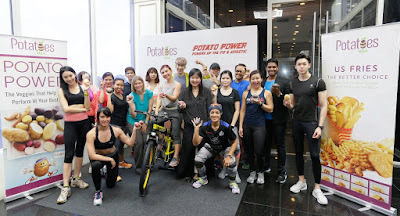 With more potassium than a medium-size banana, potatoes are perfect for aiding muscle, cardiovascular and nervous system function during long endurance events. Do you know that Mercedes-Benz, the luxury vehicles brand has a range of woman fragrances too? 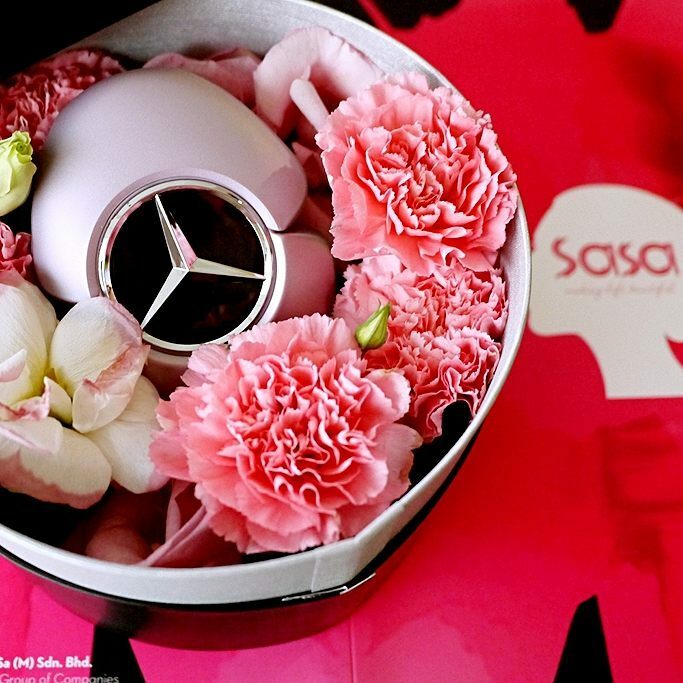 Introducing the Star Fragrance from Mercedes-Benz Woman Range. The Star Fragrance is an enchanting, luxurious, unexpected fragrance created to accentuate and exalt a woman’s personality. A superb story of femininity and self-assurance, cloaking her in a fragrant aura of delicateness. Mercedes-Benz Woman is a rare, gourmand fragrance composed by a woman— acclaimed master perfumer Honorine Blanc—for women. A woman who knows and understands women, who recognizes and acknowledges their desires with intuition and savoir-faire. Sensual curves compose this monobloc flacon designed with the precision and exacting eye of a contemporary object. It is an opulent, luxurious, utterly feminine floral oriental fragrance. 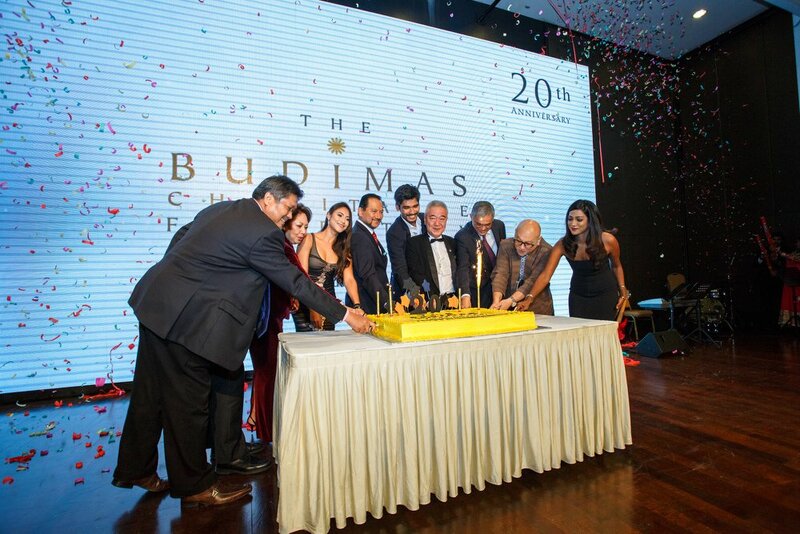 The Budimas Charitable Foundation hosted the 3rd “Night of a Thousand Blessings”, a fundraising dinner in aid of the underprivileged and orphaned children of Malaysia on the 19th of April 2018 that raised a total of RM 438,000. 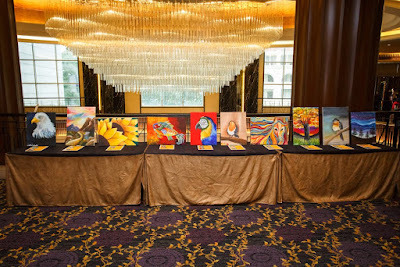 The fundraiser took place at the grand ballroom of The Majestic Hotel Kuala Lumpur which saw over 500 guests from different backgrounds that purchased dinner tables for the night, priced at RM 8,000, RM 10,000 and RM 15,000. Y.M. Tunku Dato’ Yaacob Khyra, Chairman of The Budimas Charitable Foundation officiated the night with a powerful and persuasive speech on the importance of children’s welfare in our country. The foundation also celebrated their 20th anniversary since its inception in 1998, that night. Funds raised from the benefit dinner were via sales of dinner tables, corporate and public donations, sponsorships as well as auctioning of paintings by the children of Pusat Jagaan Kebajikan Kanak-Kanak Budimas Orion (Budimas Orion Home) and will go to the expansion of Budimas Food Charity Fund which is one of the three core programmes of the foundation. Under this programme, the foundation serves breakfast to children from poor families, every school-morning at their respective schools. Currently there are over 6,200 children from over 100 schools across Malaysia that is benefitting from this programme. “We believe, that hungry children are poorly equipped to absorb the knowledge that schools are trying to impart on them. Children with full bellies have more energy and are able to better focus on their studies. I am 100% certain, that the children under our Food Programme are happy, and will ultimately deliver better long-term scholastic result,” said Y.M. Tunku Dato’ Yaacob Khyra, Chairman of The Budimas Charitable Foundation. As a Malaysian, we all know our Tapir from the school. This nocturnal hoofed mammal with a stout body, sturdy limbs, and a short flexible proboscis, is native to the forests of tropical America and Malaysia. However, not many of us have been up close with Tapir before because they are endangered species nowadays. Thanks to Watsons Malaysia, we got to visit our cute Tapir days before. 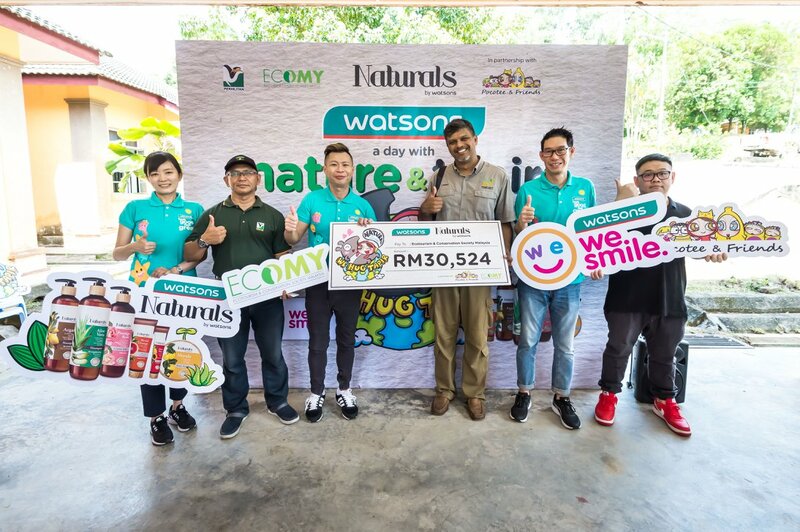 In-conjunction with the “World Tapir Day” that is held 27 April each year; NATURALS by Watsons, a brand under Watsons, has raised over RM30,524 through a nationwide campaign in-collaboration with Pocotee & Friends and the Ecotourism and Conservation Society Malaysia (ECOMY) in year 2018. The “World Tapir Day” aim to raise awareness of the endangered Malayan Tapir that inhabit Malaysian Peninsula, Myanmar and Thailand, and the island of Sumatra. 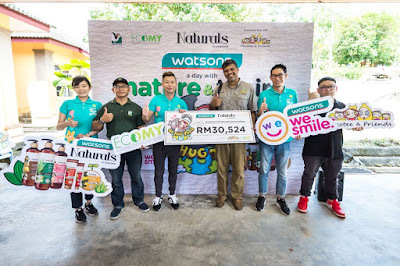 Resonating to the brand name “Naturals”, the “We Hug Tapir” campaign is the second consecutive effort by Watsons, Pocotee & Friends and the Ecotourism and Conservation Society Malaysia (ECOMY). The campaign aimed to showcase the Malayan Tapir as the primary focus to educate the public, more so the next generation, on the importance of conserving Malaysia’s heritage, the forest and wildlife and understanding that conserving the environment is key to our well-being. 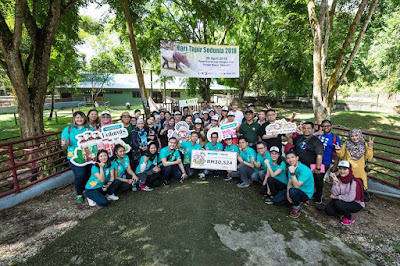 The donation was presented to the association at “A Day with Nature and Tapirs” held at the River Dusun Wildlife Reserve in Selangor. 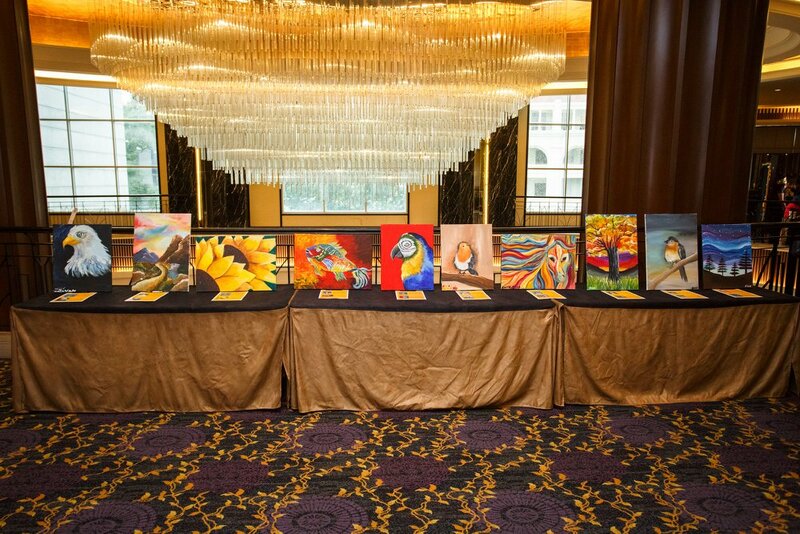 Monies raised was derived from products sold under the Naturals by Watsons line which is nature-inspired. Watsons contributed RM1 to the campaign (held between 27 March to 23 April) for every item sold under the brand, both online and at physical stores. Funds from this campaign will be channelled towards a specially designed environmental education programme for school children located around the Taman Negara National Park, home of the Malayan Tapir. This programme aims to educate children on this gentle creature as well as to raise young environmental stewards who will continue to champion and spread the message of conservation and wildlife protection. We believe our readers are familiar with Althea. The one-stop online shop for absolutely everything K-beauty. 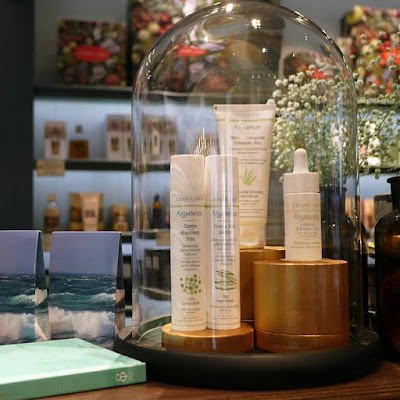 It has finally launched its very own product line, from the Petal Velvet Powder to the latest release of Bare Essentials skincare. We like that Bare Essentials skincare focus on skincare fundamentals and drops all the non-essentials. 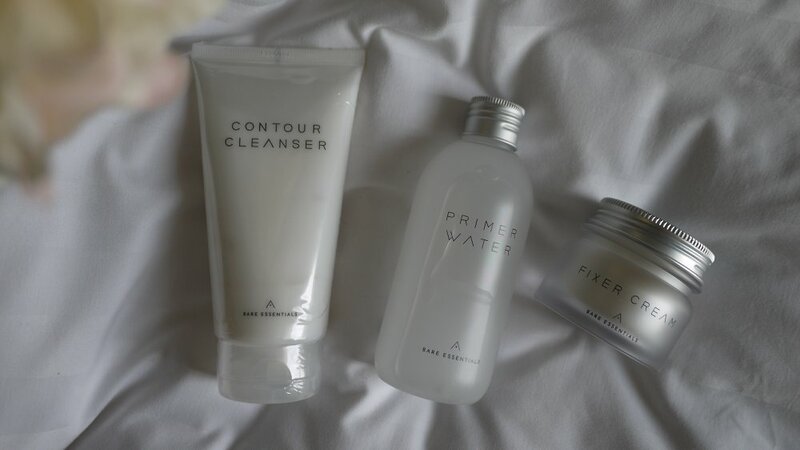 Not only the products are easy to use, the packaging is minimalist and clean that we like. Bare Essentials skincare line consists 3 products to use in every morning and evening with 3 quick and easy steps. 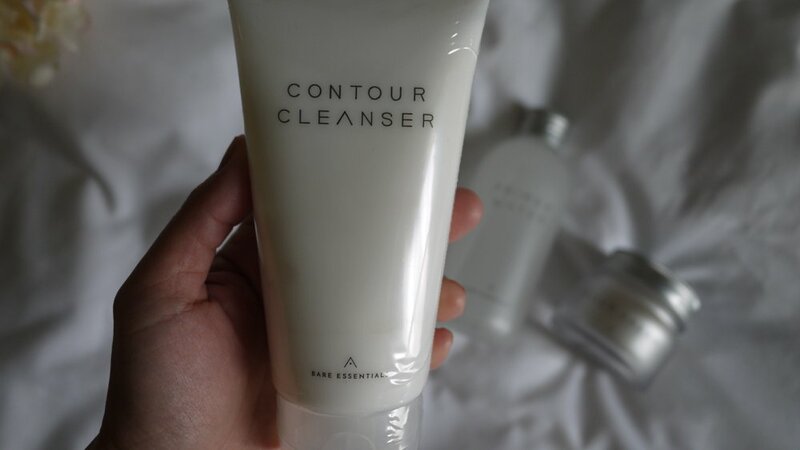 The Contour Cleanser helps to promote blood circulation, and reduces bloating and swelling for a defined, enviably slim face shape. Counting down two more weeks to the Holy Month of Ramadhan, have you booked your Ramadhan dinner buffet for you and your family? 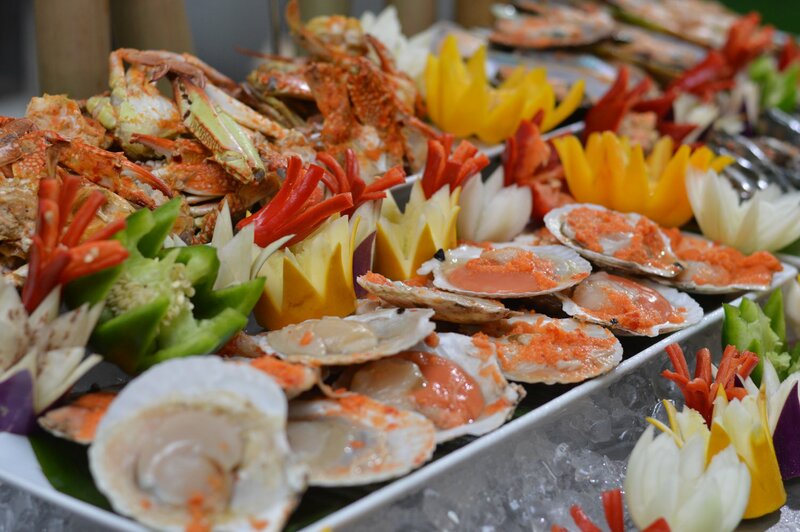 This Ramadhan, Pullman Kuala Lumpur Bangsar is delighted to once again host a feast of local and international cuisine especially for it’s Sajian Selera Desa Dinner Buffet at LINK- All Day Dining Restaurant. 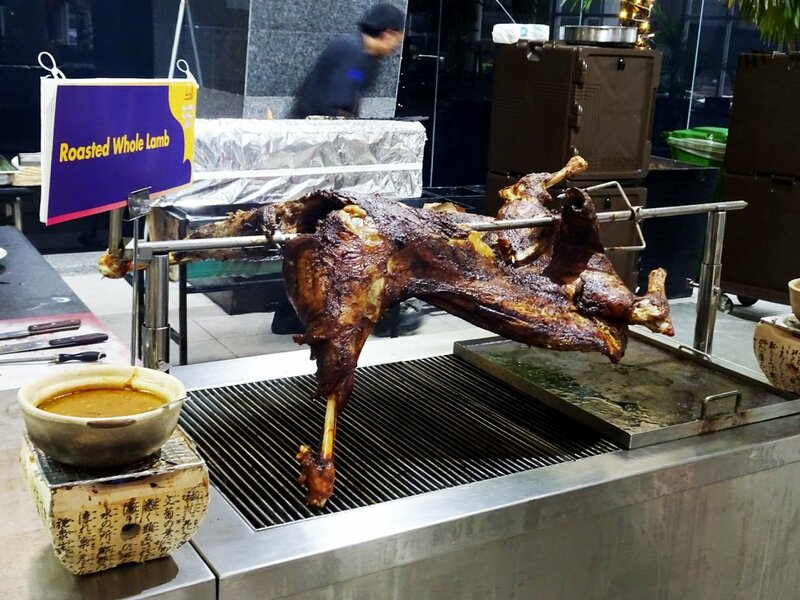 This year, Executive Chef Juzaili will be featuring one of his specialties; a whole lamb marinated in a secret blend of spices and roasted to golden perfection. Last year’s crowd favourite, the Oxtail Gear Box Soup will make a comeback due to popular demand. Guests are able to break their fast and enjoy their dinner with a variety of delights from fresh cut seafood, assorted gulai kawah, bubur lambok, Mongolian grill, unlimited servings of durian and many other delicious dishes and desserts. 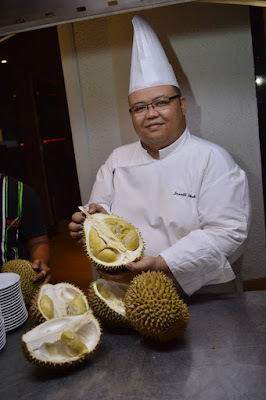 We simply can't resists the Durian feast which is happening at 9pm at the buffet dinner. 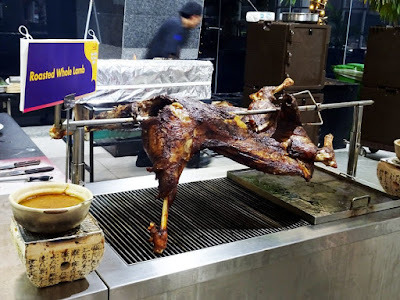 Besides, there are 150 varieties of authentic local cuisine including fresh seafood, fresh coconut and fresh sugar cane juice, fresh fruits and many more in Pullman Kuala Lumpur Bangsar's Sajian Selera Desa Buffet Dinner. Starbucks is collaborating with acclaimed fashion house Paul & Joe to bring a touch of Parisian chic to Malaysia this summer. The limited-edition merchandise features Paul & Joe’s iconic Chrysanthemum floral print in soft pink and pastel blue hues, as well as founder Sophie Méchaly’s beloved pet cat, Gipsy – her inspiration and the symbol of the fashion house. The exclusive collection includes stylish drinkware, tote bags and the beloved Starbucks® Bearista dressed up in an outfit inspired by Gipsy the cat. “Paul & Joe’s designs are all about ‘fun-loving sophistication’. Just as our customers are always looking out for new styles and trends, Starbucks is persistently seeking out sought-after designers from around the world that share our passion for fun, so that we can bring exciting new collections to stores here in Malaysia,” said Ms. Esther Woo, Director of Marketing of Starbucks Malaysia and Brunei. · Paul & Joe + Starbucks® Double Walled Mug Floral (12 fl oz) – A ceramic mug with plastic lid and gold detailing. · Paul & Joe + Starbucks® Thermos Tumblers (16 fl oz) – Thermos stainless steel tumbler with spill proof lid. 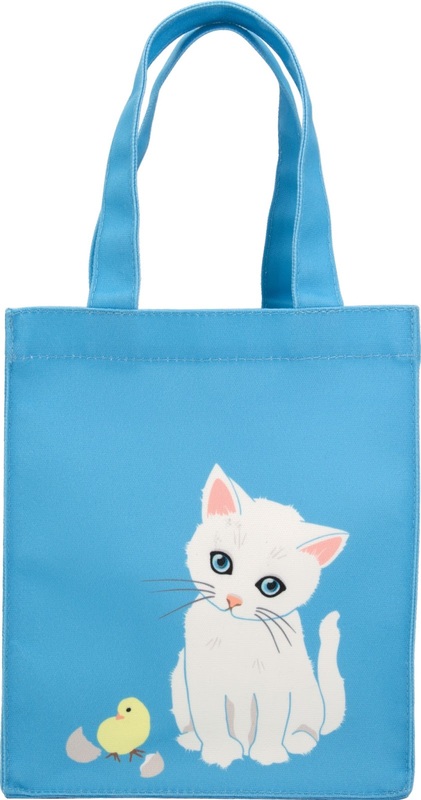 · Paul & Joe + Starbucks® Tote Bag – Poly-cotton tote bag with polyester lining featuring Gipsy, the iconic Paul & Joe Cat, and Paul & Joe’s signature Chrysanthemum floral pattern. 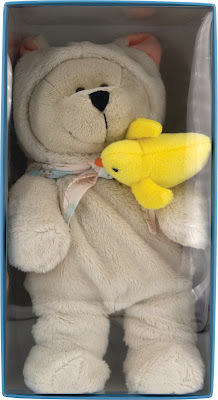 · Paul & Joe + Starbucks® Bearista –Starbucks® Bearista dressed in Gipsy-inspired outfit, accompanied by his best pal. This collection will be available from 24 April 2018 onwards at selected Starbucks stores across Malaysia, while stocks last. Crocs, Inc. introduces its newest comfort technology, LiteRideTM, as part of its bold, new collection for Spring/Summer 2018. The new collection is so much lighter and comfortable than the previous series. Set to debut in stores and online in March 2018, the Crocs SS18 line is focused on three key styles for women: Isabella Cut Graphic Strappy Sandal, Leigh II XStrap Wedge, and Sloane Embellished Flip Beaded. Feminine, fun and refined, these turquoise-coloured sandals are a must-have for women on the go. The cut and graphic strap makes the sandal stylish and comfortable to wear all day long. Incredibly light and easy to wear, these styles are great for sunny-weather wearing occasions like poolside, lunch dates and evenings out. A more feminine style with the comfort you love. These wedges strike a perfect compromise between taller heel aesthetics and foot bed sandal comfort. Canvas cross-straps are lined with microfiber for a soft feel all day long, with a layer of stretch gore that gives you a more custom fit. This beautiful and feminine style is perfect with smart casual wear during the day and for evenings out. Crocs, a global leader in casual footwear for women, men and children, has announced the worldwide debut of LiteRide™, its most innovative comfort technology to-date. 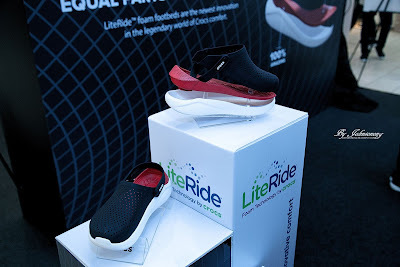 Created from “equal parts science and magic,” LiteRide™, a revolutionary closed-cell material, reinforces Crocs’ dedication to comfort, delivering consumers a delightful mix of support and sink-in softness. 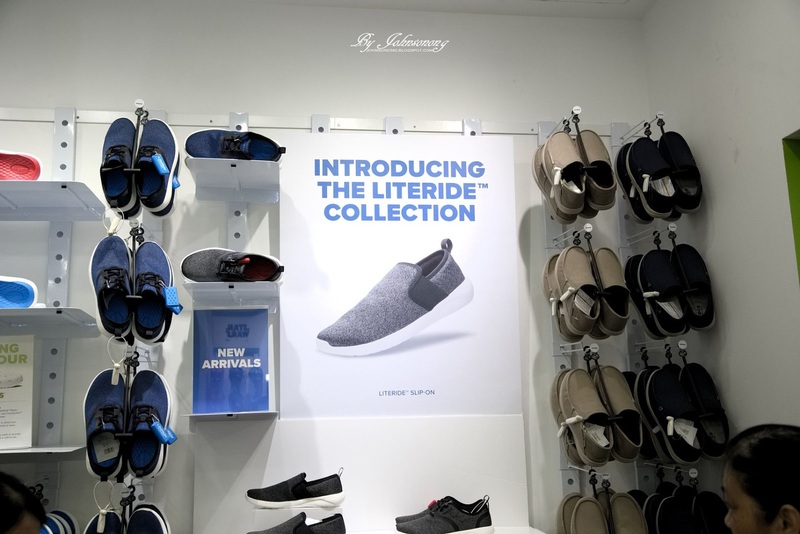 For SS18, the LiteRide™ Collection offers a variety of product choices designed for women and men that align with the increasing popularity of the athleisure categories. The LiteRide™ collection includes the following styles: the Clog, the Slide, the Sandal, the Flip, and the Slip-On. New Zealand, the beautiful island country in the southwestern Pacific Ocean is famous for its food and wine. But do you know that they produce some first class premium natural skincare range in every sense too? 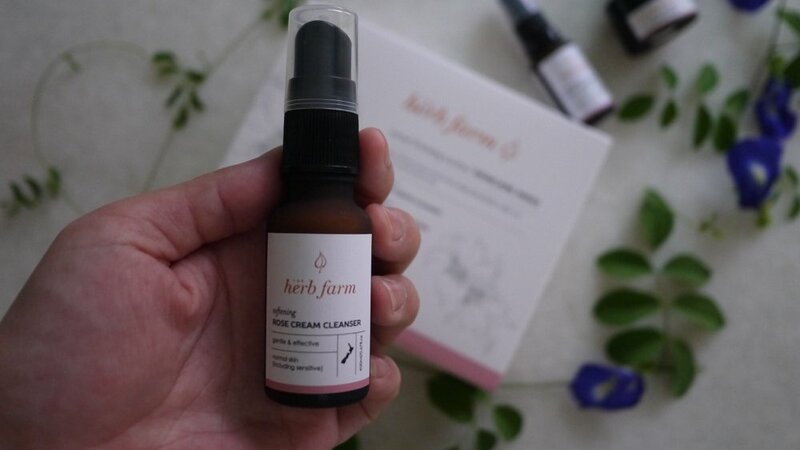 We have recently came across the New Zealand 100% natural skincare brand, The Herb Farm. Available at all TNS Skin Lab at all its outlets and online store in Malaysia, The Herb Farm products have been carefully tried and tested by TNS Skin Lab’s team. They are delightful to use, and most importantly very effective for their stated purpose. 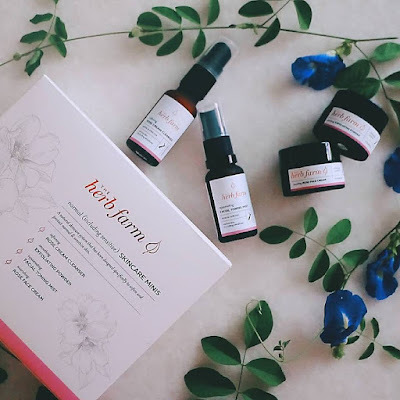 We have given The Herb Farm skincare minis set to try on my normal skin. Read more on our thoughts below. 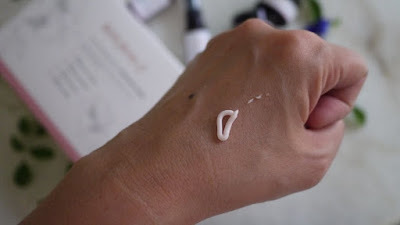 A luxurious cleansing cream to effectively remove impurities and nourish your skin. Gently removes makeup including mascara. Provides the perfect balance of natural oils to cleanse, nourish, and soften normal skin. To use, gently massage two to three pumps into damp skin and rinse off with warm water. Use morning and night for optimum results. We like that it cleanses our skin while also soothe our mood with its light rose scent. We all know that beauty isn’t simply skin deep, but the idea couldn’t be more relevant thanks to a new breed of supplements designed to nourish our skin. With a highly concentrate of L-glutathione, Alpha porcelain, Vitamin C, Fernblock and Collagen peptides, SOS UV Porcelain+ Supplement inhibits melanin production for skin whitening effects, allows the active ingredients to maintain their singular benefits, fends off signs of ageing and helps promote glow of a skin, is an effective protection from UV rays, it also helps to rejuvenate skin cells, reduce fine lines and increase skin elasticity. 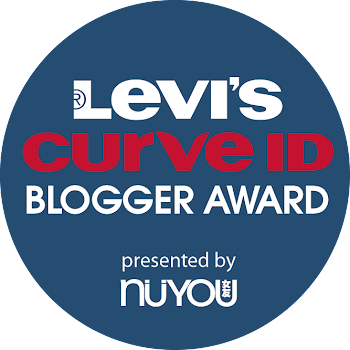 I was honoured to be selected and to be a part of this revolutionary journey towards healthy, luminous and porcelain skin that’s protected from WITHIN, all thanks to Suppagood PR. 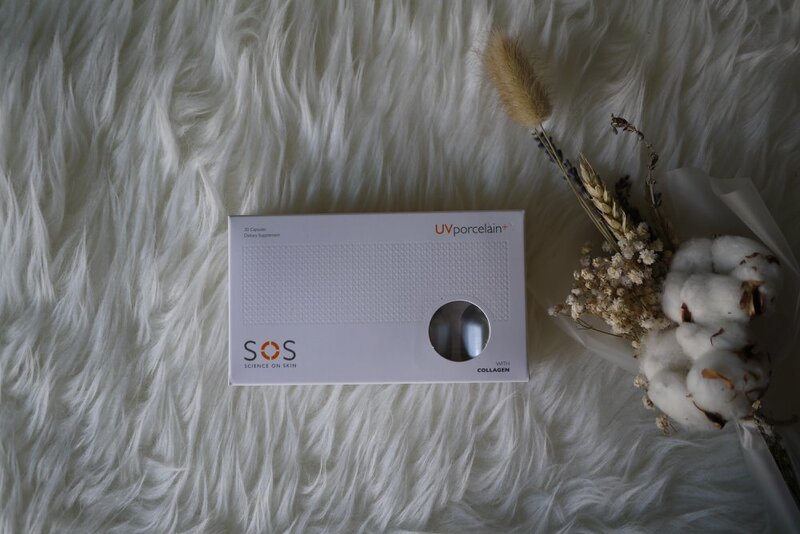 SOS UV Porcelain+ produced with a breakthrough in skincare technology. 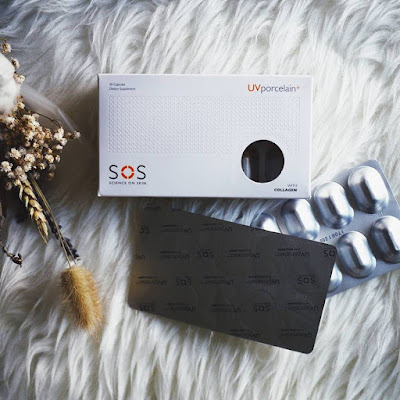 It sets the new benchmark for oral skin supplements with its dual action formulation for skin whitening and brightening, broad spectrum UVA and UVB protection and stimulation of collagen and elastin production. All we have to do is to consume just one capsule a day, and see the results for yourself after a box or two. 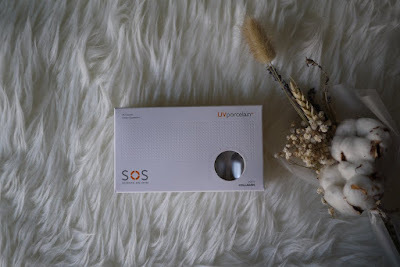 As for us, we noticed that our skin is more even skin tone, skin is softer and smoother, and they are lifted and firm after consuming just one box of SOS UV Porcelain+. 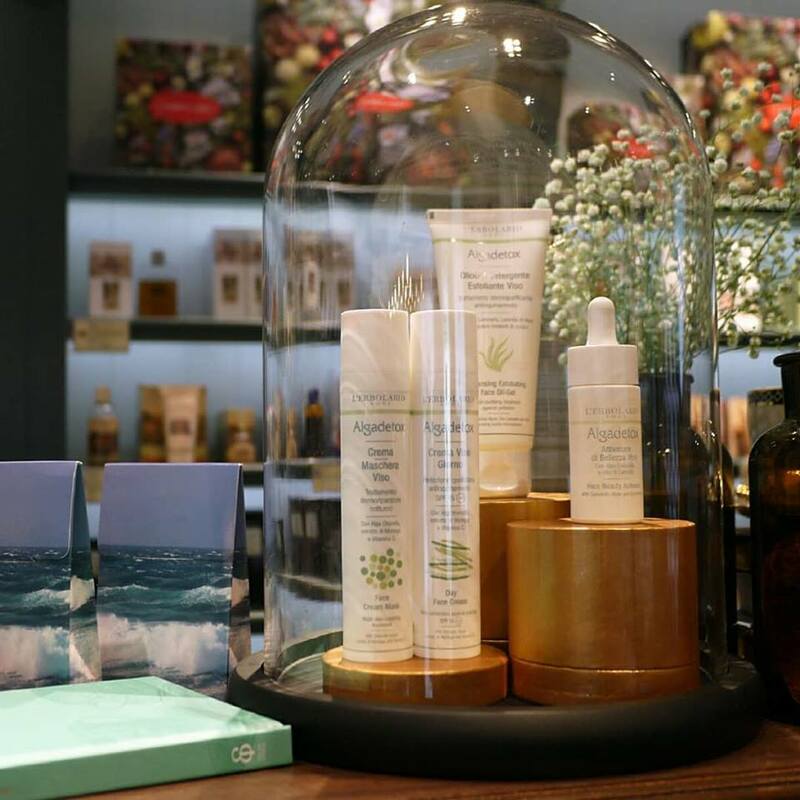 L’erbolario, the Italy brand with more than 30 years history has recently launched their latest skincare range, namely “Algadetox”. We all know that our body needs detoxification to neutralize, transform or get rid of unwanted materials or toxins, what about our skin? In today’s polluted and stressful environment, it is indeed a need to detox our skin and hence L'ERBOLARIO has created the special recipes of the Algadetox line with the aim of defending and purifying our skin. Algadetox skincare range offers products that draw all their anti-radical and protective virtues from algae and micro-algae. 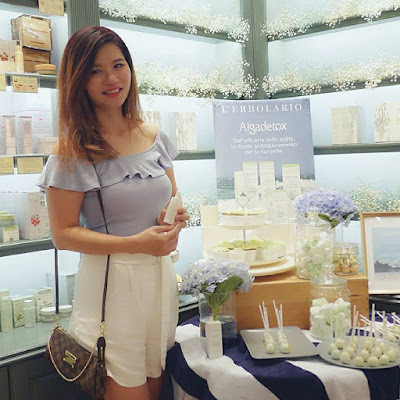 Now, we can protect our skin with L'ERBOLARIO Algadetox range. Just like other lines in L’erbolario brand, Algadetox line does not contain parabens, potential sources of gluten, formaldehyde donor, mineral oils, acrylates, silicones, preserva tives and PEG-derivaties. L'ERBOLARIO Algadetox range includes a Day Face Cream, Face Cream-Mask, a Cleansing Oil-Gel and a Face Beauty Activator. They have been clinically tested and that will be indispensable for a luminous, detoxified and compact skin. We find the Cleansing Oil-Gel rather interesting. This clear gel contains white microspheres of jojoba oil, which melt down with the heat of the fingers. And when the spheres melt, the gel turns into oil. Wet your hands and massage your skin to emulsify the cleansing oils. 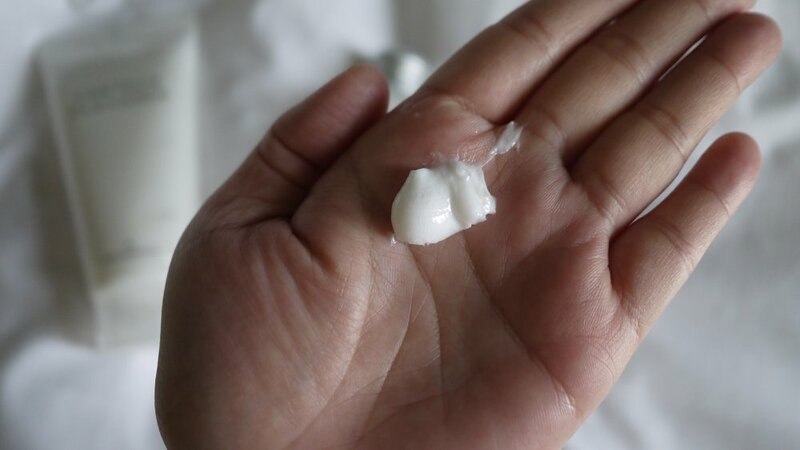 You will find the oil dissolving under your fingers and turning a milky white. My skin feels fresh and clean after rinsing off. When the affordable professional makeup brand open at our most favourite shopping mall, how could we resist making a visit? NYX Professional Makeup brings you the best of cosmetics and makeup accessories! 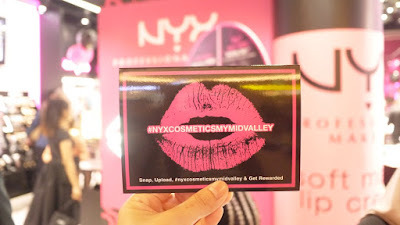 Hailing from LA, it has a global following of makeup enthusiasts who favor quality at affordable prices. 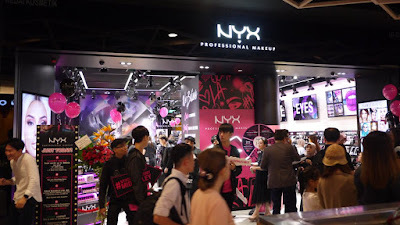 So we made our way to the brand new NYX Professional Makeup Malaysia store at Mid Valley Megamall on the lovely Saturday morning, 15th Apr 2018. Seen there were all the makeup enthusiasts queue to go into the store and shop! 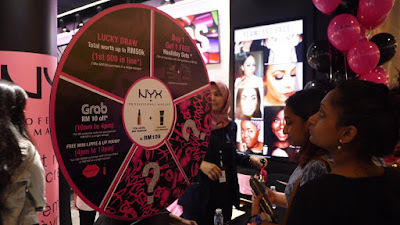 There were variety of activities for the fans, gifts with purchase, post on social media to get freebie, makeup demo and many more. Congratulations to the ones that have won the grand prizes! The small town of Bredebro in Denmark may not be known to most of the world. However, out of this obscure community with a population of less than 2,000 people, came a global phenomenon which the world has embraced with open arms. 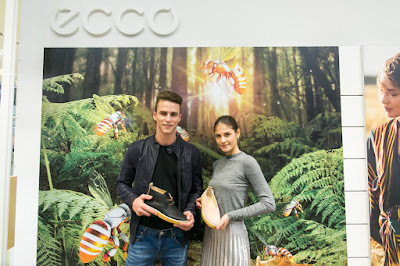 ECCO – the maker of high-comfort, functional, stylish shoes, timeless bags and accessories, small leather goods and shoe care products for men and women – today is a leading global success story with more than 2,200 branded stores and 14,000 other sales points in more than 88 countries, employing more than 20,000 employees worldwide. ECCO marked another milestone in the company’s history of over half a century, with the launch of its Spring/Summer 18 Collection at its refurbished store in Malaysia’s very own Pavilion shopping mall in Kuala Lumpur. Founded by Karl Toosbuy in 1963, ECCO rose from humble beginnings, pioneering the comfortable footwear concept in the 1970s. 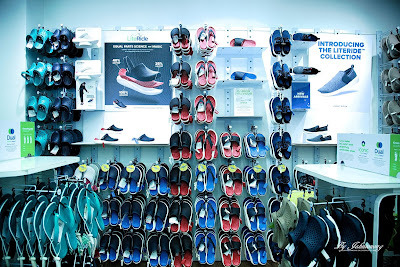 With a firm philosophy that “the shoe must follow the foot” and not the other way around, ECCO’s claim to fame was its uncompromised quality and comfort afforded by its products. By 1982, the company was averaging sales of more than 1 million pairs of shoes annually and today, the company records a multi-billion Euro turnover the world over. ECCO is one of the major shoe manufacturers in the world to own and manage every step of the shoemaking process - from leather production through manufacturing in its own factories all the way to its retail stores. 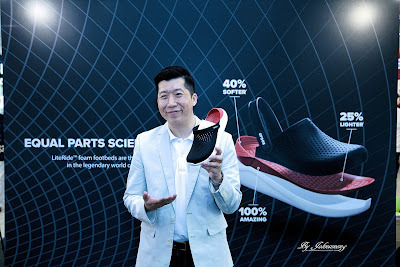 The company owns six factories around the world – one each in Thailand, Slovakia, Vietnam, Portugal, Indonesia and China. The leather used in its products is produced in the company’s own tanneries located in Netherlands, China, Indonesia and Thailand. Make a beeline to the new social hotspot in Kuala Lumpur right in the heart of Bukit Bintang! 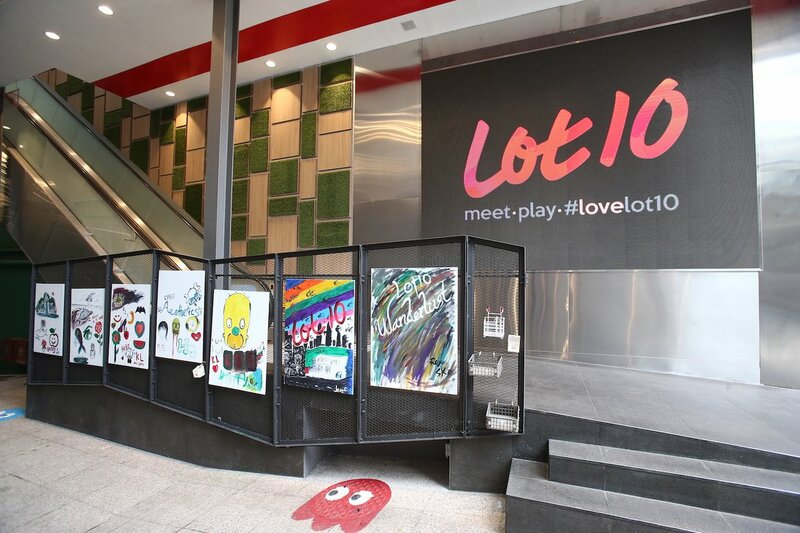 Lot 10 is inviting one and all to meet.play.#lovelot10 at the mall in the first of a new series of events – #Lot10wanderlust. The iconic green cornerstone landmark of the famous shopping street, newly reimagined as a dynamic and inclusive space imbued with fun and creative youthful exuberance, is now a true social destination for locals and tourists to shop, dine or simply chill out. “Lot 10 is re-conceptualised as a social destination of choice where people meet and connect, where customers not only shop and eat but also play, and where all under our roof will feel the spirit of love. The reimagined Lot 10 is built upon the key pillars of Youthful, Fun, Creative and Connected. Our Youthful spirit aims to excite and inspire customers in a trendy environment, and we collaborate with tenants, partners and visitors to amplify the Fun at Lot 10 in a holistic way. We embrace and foster everything Creative to shape unique and memorable retail experiences for all. 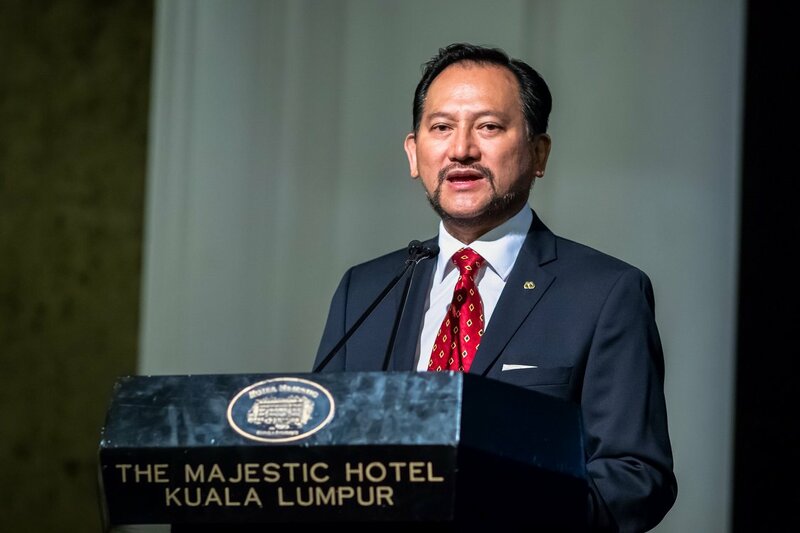 Ultimately, we aim for Lot 10 to keep everyone Connected through our inclusive social space that celebrates diversity and encourage all to meet, gather and connect,” said Joseph Yeoh, Vice President of YTL Land & Development and YTL Hotels & Properties. “Since we embarked on our renovation over a year ago, much of the new hardware enhancements have been completed. We are thrilled numerous new tenants have joined us including the first offline Reebonz store in Malaysia, J’s Gate Dining with its cluster of 18 authentic Japanese eateries, Tokyo Candy Factory, Molten Chocolate and our latest Sennheiser pop-up store. 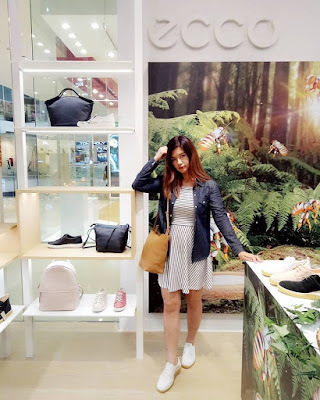 Today, a mall must go beyond hardware and retail mix to offer differentiated experiences to attract shoppers, especially when online shopping is fast changing the retail landscape. A mall must incorporate value-added lifestyle elements such as arts, culture and entertainment that are not found in online shopping. We must give shoppers a hand in shaping their own authentic experiences to stay relevant in their social media space,” Joseph added. Kicking off on the weekend of 13 to 15 April, the #lot10wanderlust series offers a host of exciting weekend activities and experiences. Fans of independent artisans can make their way to the inaugural Pasar Sari, an all-Malaysian homegrown artisan market that will last till 22 April 2018 (open from 10am to 10pm). 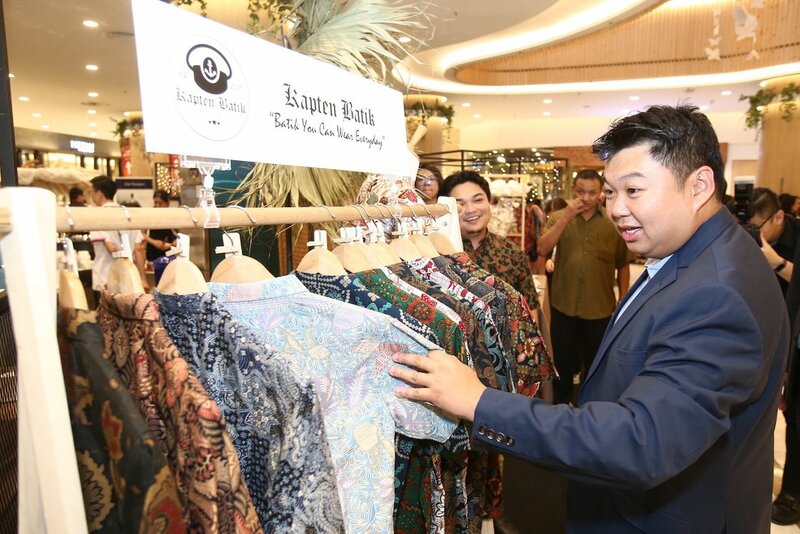 In line with Lot 10’s push for local entrepreneurship amongst the creative youth, a curated collective of 12 local artisans will take centre stage here to showcase their selection of locally-sourced and produced goods perfect for local visitors and tourists. Get hands-on with creations from The Apothecary Malaysia, Kapten Batik, Buih & Co, ZáHuoHang and more. You can shop for fragrances and toiletries, pick up art, stationery and apparel or perhaps take home some homeware and decorations, and even select from a variety of agricultural products from social enterprise Langit Collective. 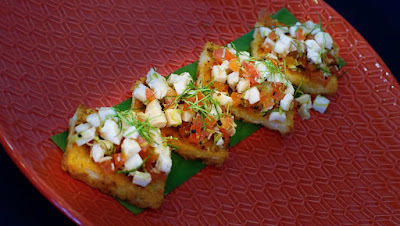 Don’t miss the yummy local delights from Lot 10 Hutong and Rococo Café Restaurant too! Lot 10 has plans to bring Pasar Sari back every quarter. 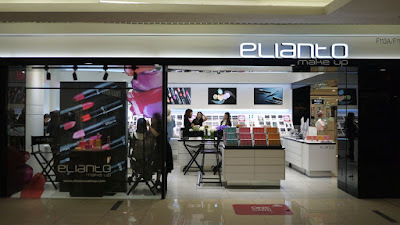 We paid a visit to Elianto outlet at 1 Utama Shopping Centre (Old Wing) not long ago. We like the new Elianto concept store that is huge and bright with display and makeup stations for us to try out the products. Hence, we took the chance to explore more on the new Elianto Fruit Cleansers & Makeup products on that lovely noon. 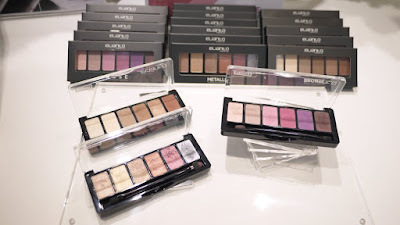 It was our first time trying out Elianto eye palettes. The three new eye palettes are made from Coconut Oil and Aloe Vera, hence the texture is smooth and pigmented. The compact packaging makes it the perfect travel companion every time. Bronze Eye Palette – A neutral palette for everyday’s makeup. From cocoa light brown to dark brown, it is suitable for both day and night look. Being a mum is tough, let alone measuring up to the ideals of a perfect mum. The increasingly high standard of motherhood has become ingrained in our culture today as parents strive to provide the best for their children. Malaysia’s leading mayonnaise brand, Lady’s Choice has announced the launch of ‘Ibu Sejati’, a nationwide awareness campaign aimed at breaking the stereotype of perfect mum. More than just a statement, the brand put forward a powerful message of “Tiada ibu yang sempurna, hanya ibu yang sejati” to reiterate that being a real mum is all about loving unconditionally. ‘Ibu Sejati’ spotlights three real-life Malaysian mothers telling inspiring stories about how they cope with their day-to-day struggles. Delivered through a series of videos, the emotionally-engaging stories depict the unique roles of these mothers and the different approach they take in putting their children first. 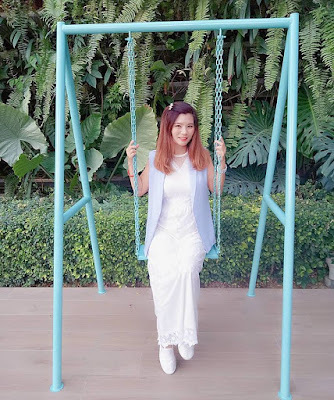 Akin to unsung heroes for their loved ones, these mothers include a working mum Wan Musfirah Aimi, a single mum Natalie Hussin, and a fulltime housewife Normayani Isa, who are all blessed with three kids. “The role of a mother has evolved with greater responsibilities in today’s fast paced environment – from finding the balance between careers, being a dutiful wife and raising her children, while having time for herself. The multitude resources on the internet, while inspiring could also mount to peer pressure amongst parents, often striking the fear in them that they are not doing enough for their children,” said Shiv Sahgal, Marketing Director of Foods & Refreshments, Unilever (M) Holdings Sdn Bhd. Due to environmental factors such as air pollution, temperature change from dry air-conditioned interiors to hot and humid exteriors and lack of hydration, skin can become sensitive, and people can suffer from uncomfortably ‘tight’, dry or cracking skin. 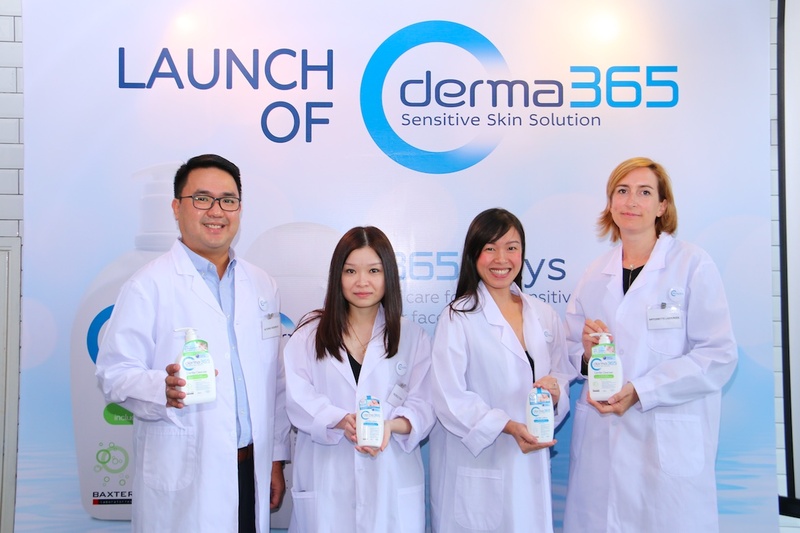 Guardian Malaysia which operates a chain of over 400 stores, providing an unrivalled variety of Pharmaceutical, Health and Beauty products to more than 2.5 million Malaysian customers a month is delighted to introduce a solution for sensitive skin, the new derma365 line of Gentle Cleanser and Gentle Lotion that is suitable for all skin types, including dry and sensitive skin. 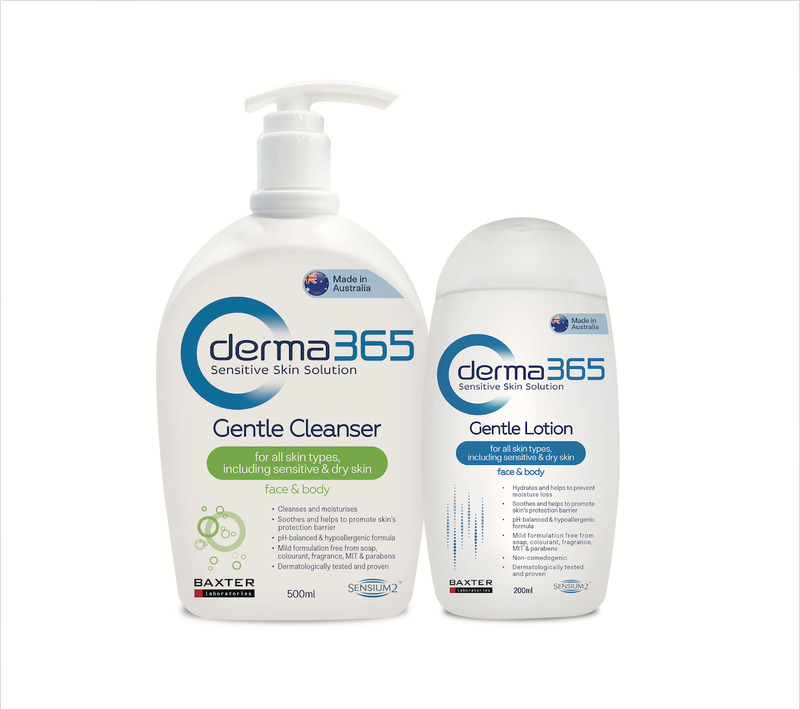 derma365 is a line of clinically tested and dermatologically proven products specially formulated to offer a daily sensitive skin solution for you and your family. Healthy skin needs dedicated care daily, not only when skin problems arise. 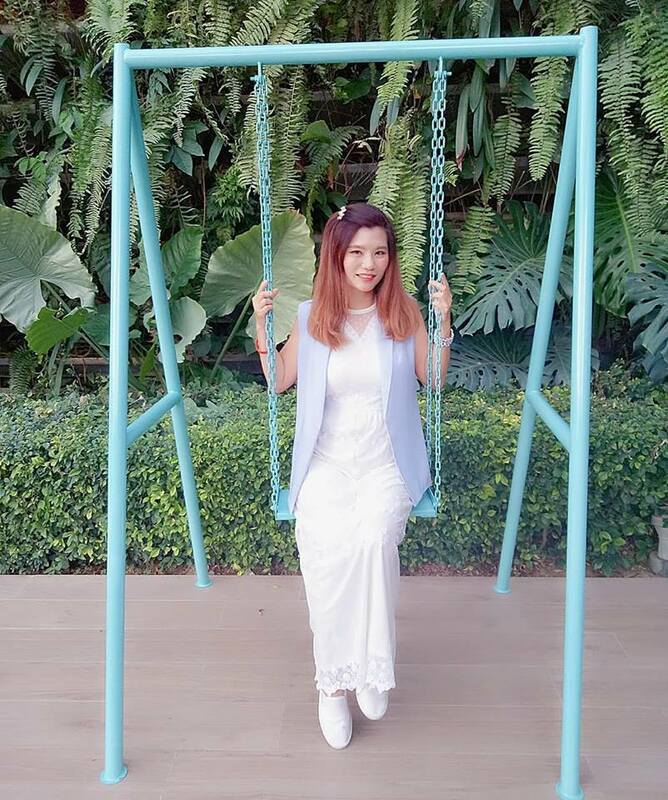 This is why derma365 Gentle Cleanser and Lotion are pH-balanced and hypoallergenic, to soothe the skin and protect the skin from the harsh external environment. All derma365 products are formulated to be gentle to the skin and the formulation are free from soap, colourant, fragrance, MIT, parabens, lanolin, animal derived ingredients, mineral oil, SLS and SLES. 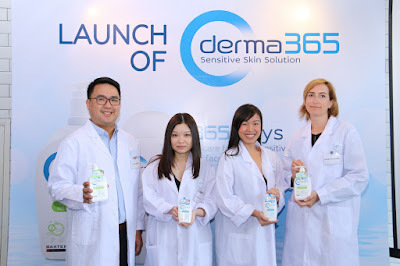 derma365 is developed by Baxter laboratories and is made in Australia. Baxter Laboratories, Research & Development centre has excellent skin expertise and develops unique, award-winning dermatology technologies. 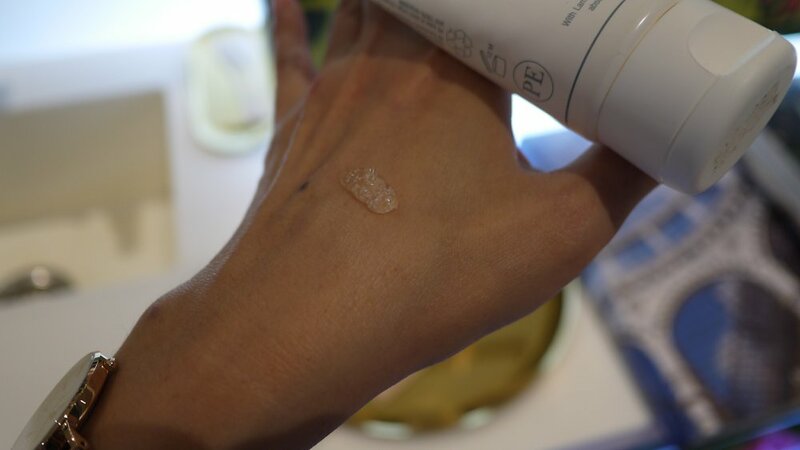 With its superior knowledge and commitment to unique skin needs, all the products are formulated according to a strict charter and quality standards.